Adelaide Crows: $13.00 – where are the best Adelaide futures bets? 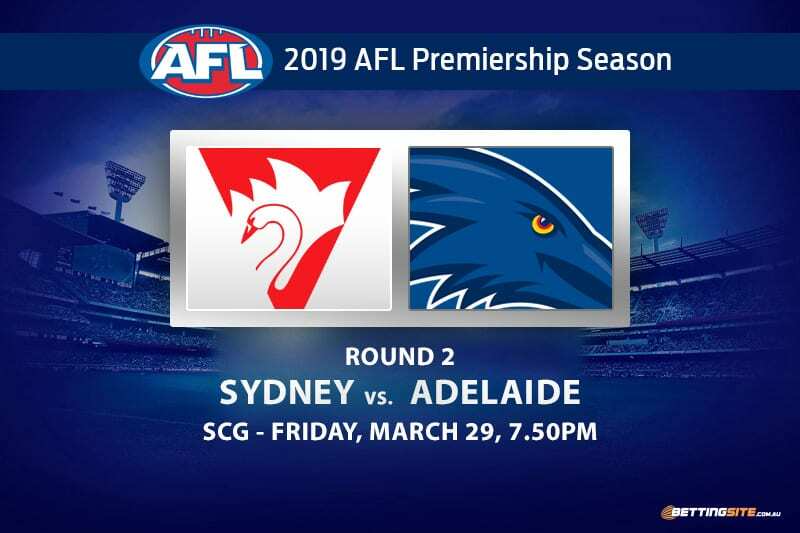 When the Sydney Swans host the Adelaide Crows at the SCG this Friday, one side will get their season back on track, while the other will be staring down the barrel of a disastrous beginning to the season. Both sides lost in disappointing fashion in the first round of the AFL season. 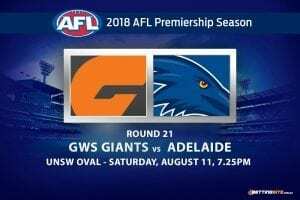 The Swans went down to the Bulldogs by 17 points after starting favourite, while the Crows received a lesson from the Hawks at Adelaide Oval in a 22-point loss. 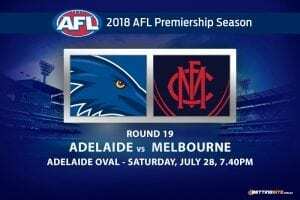 Considering the Bulldogs were hosting the match, it was not the biggest surprise, but when the Crows performed poorly in front of their fans at home, questions about their finals credentials have immediately followed. Tom Doedee, the talented young intercept defender for Adelaide, suffered an ACL blow early in the Hawthorn clash last week and will sit out the rest of 2019. Paul Seedsman comes back into the team this week to replace Doedee. Lance Franklin, one of the greatest modern forwards, failed to impact the Swans match when he needed to, only finding the footy seven times for the entire night. Buddy will need to lift his intensity when the Crows come to visit this Friday night. We expect this cracking match-up to be a contested and slow affair. Here are our tips for the Friday night blockbuster. Isaac Heeney to get 20 Disposals @ $1.40 – am I able to get a bookie bonus bet? This young man has the ability to become the face of the Sydney Swans both on and off the field. Although his work as a forward is crucial to the Swans structure, they have recently been using him as a midfielder. If he plays more than 40% midfield time this week, expect a high disposal count and a win in this category. In Brad Crouch’s first match back since 2017 he was able to collect the ball 28 times, an impressive amount for any player, let alone one returning from a 15 months injury break. The trend for any match at the SCG is contested footy, the area of the game Crouch thrives in. The more congestion and stoppages, the more opportunities for Crouch to do what he does best. Round 1 across the entire AFL was blighted by innacuracy and the Swans were one of the offenders, kicking 9-11 for the night. Expect a lift from Buddy, more accuracy in front of goal and the 12 goal line to be a breeze for the home team. 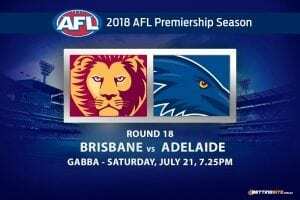 Looking at the forward line for the Crows, there are a number of players capable of hitting the scoreboard, but against an experienced Swans backline, we expect them to struggle. The combination of Dane Rampe and Heath Grundy has worked for years and you can expect the Swans pair to keep Adelaide quiet this week. 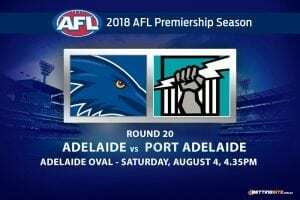 In front of their home crowd for the first time in 2019, the Swans will put on a show early and be the first team to 50 points. 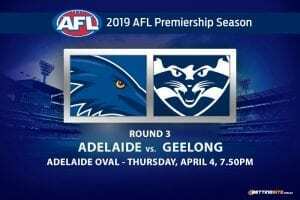 With Luke Parker, Josh Kennedy, Lance Franklin and Isaac Heeney all playing at home this Friday, the choice was not difficult. Adelaide just looked too poor on its home deck last week.